As we are approaching Independence Day, I thought it would be good to feature some great American classics on our Summer Reading List. In the midst of cookouts, fireworks, and parades, it’s good to remember exactly what we are celebrating. While many of these books may be viewed as scholastic or things to read during the academic year, I have found that sometimes it can be a lot of fun to read these without the pressure of comprehension questions or written essays attached! What better way to celebrate the 4th of July than a reading of the classic American anthem, the Star Spangled Banner? The D’Aulaire’s splendidly illustrated version is a must for this weekend. Capturing the vastness of the American landscape, the variety of its people, and key events in our history, The Star Spangled Banner is Americana at its best. And what 4th of July reading list would be complete without a biography of the Father of our Nation? This one makes a great read-aloud and the illustrations are gorgeous. I remember hours spent with the original hardback edition, pouring over the details of the lithographs while listening to my mom or dad read me the story. A book like this gives a child an introduction to greatness and a love of the history of one’s country. It has been said that the inability to believe in the greatness of other’s character reveals a smallness of one’s own. By providing children with examples of great leadership, as seen in George Washington, John Adams, Abraham Lincoln and many others, you open worlds to them that are inspiring and optimistic. Worlds apart from our everyday experience. Yes, each of these people were flawed and had struggles and made poor decisions at times but that is what makes them so inspiring. In the face of their own fallenness, they rose to make the world a bit more friendly, a bit kinder, and a bit more beautiful. 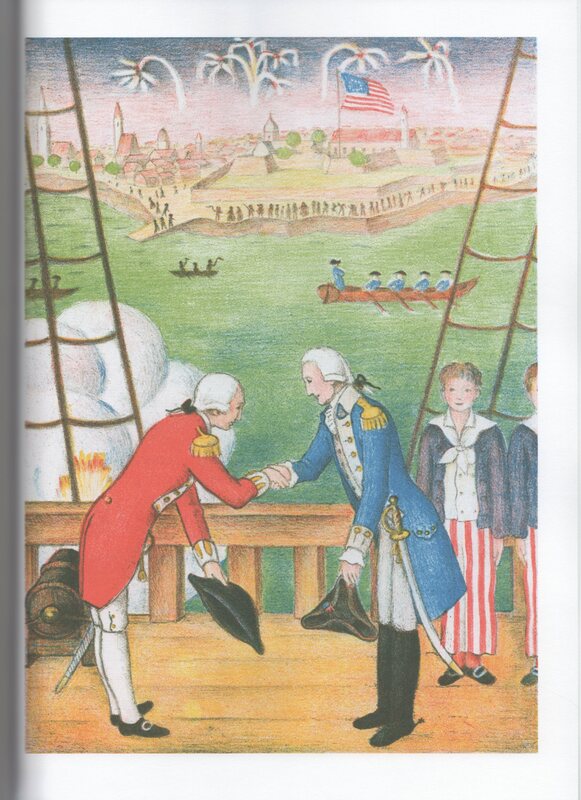 Telling the stories of the long, hot summers in Philadelphia when the Continental Congresses met and crafted our Constitution, this book has wonderful illustrations and tells the story of the Great American Experiment. Accessible to all ages it’s a great primer on the story of why America separated from Britain and formed a unique government, the likes of which the world had never seen. What are your favorite 4th of July themed reads? Any books you remember fondly from childhood or have recently discovered? Please share! Thank you for sharing. We are doing Adventures in My Father’s World (Early American History) with our 4th and 2nd graders this year, and these title will surely go on our list.